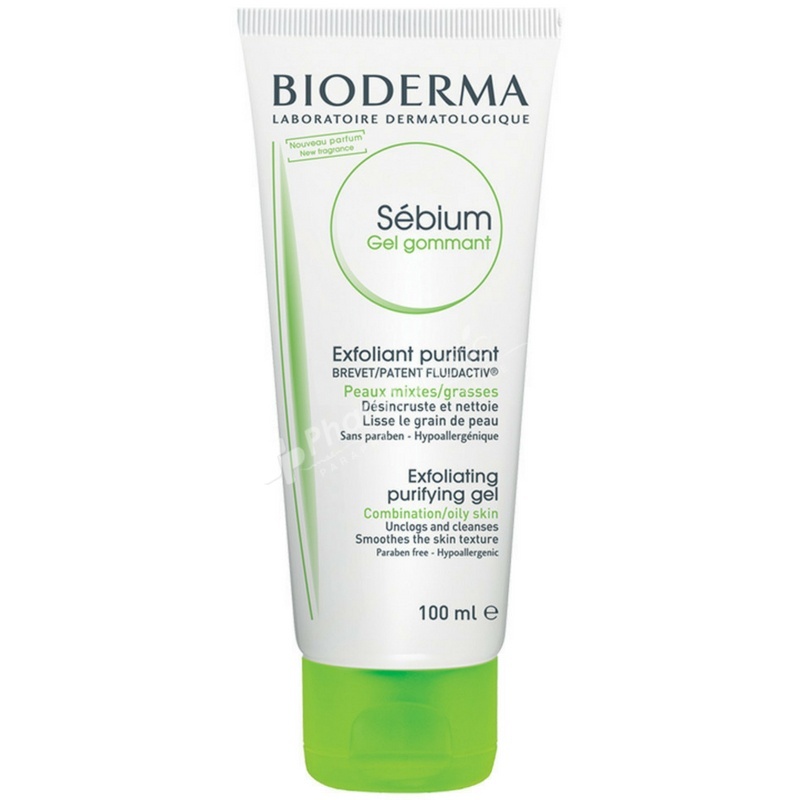 Bioderma Sebium Exfoliating Purifying Gel is the only scrub that refines the skin texture, tightens pores and brightens the complexion while preventing the formation of blemishes thanks to the Fluidactiv® patented complex, which biologically regulates sebum quality. Sébium Gel Gommant is the only exfoliating gel scrub that refines the skin texture, tightens pores and brightens the complexion while preventing the formation of blemishes thanks to the Fluidactiv® patented complex, which biologically regulates sebum quality. Once or twice a week, alternating with Sébium Gel moussant or Sébium H2O.